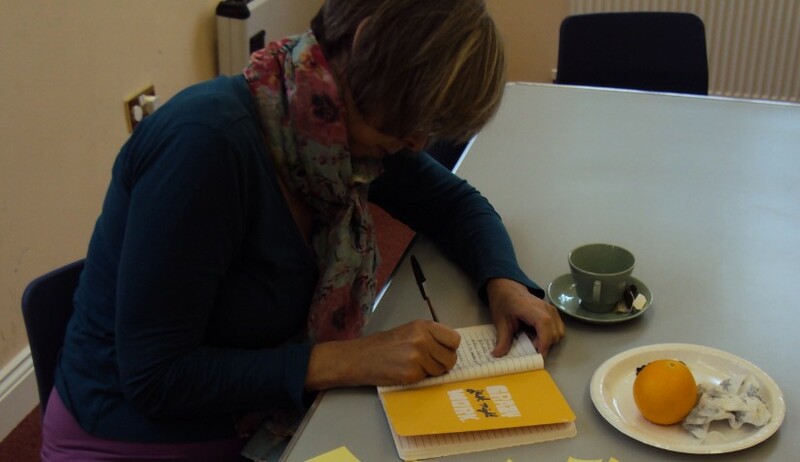 Last weekend I had the pleasure of running a taster session for the upcoming Writing Circles. I could call the session a dry run as I had a chance to familiarise myself with the hall, play with lighting, arrange chairs and tables, find teacups and sugar spoons, etc., but there was really nothing dry about it. We had a steady flow of conversation, tea and ink. In fact, even the writing prompts we used were wet! I decided to revisit an activity from a previous workshop that seemed rich with potential the first time I used it, but in the unfolding had felt slightly rushed and underdeveloped. So for the taster session, I expanded it further, allowing time and space for more connections, more discussion and more writing. Time and space are underused ingredients in teaching and learning. This week, I've been planning for the sessions. I so love planning. Ideas shout out like a class of five-year-olds, waving their arms wildly, each one believing in the urgency and import of what it has to say : 'Me! Choose me!' or 'I know! I know!' or 'Oooh! What about this?' Big ideas need big paper, so I use flip-chart paper and big coloured pens to capture them all. I consider myself a very lucky woman to count flip-chart paper as an official business expense. Only one space remains for the Harlton Hall Writing Circle. Is it yours? Register here. The Rock Road Library Writing Circle has been postponed until after the October half-term. Older PostLast day to register with Early Bird Pricing, taster workshops tomorrow!